Word has been sent to us with the passing of Patrick ‘Pat’ Dykes, son of deceased C&S/DL pilot Capt. Fred ‘Freddie’ N. Dykes. Patrick’s father Fred was born 12-18-1918 and passed 03-15-2006. Fred joined Chicago & Southern 01-09-1946 and retired with Delta Air Lines. Patrick’s obituary notes that services were held yesterday November 15th in Louisiana. Patrick Tillery Dykes passed from this life on Saturday, November 11, 2017. A native of Covington, LA, Pat was born on April 8, 1952, to Fred Nathaniel Dykes and Alice Clark Dykes. He is survived by his loving wife, Ann Mayronne Dykes, their children Grace Nicholson Dykes Smith and her husband C.M. Smith of Baton Rouge; Rev. Reuben Clark Dykes of Baton Rouge; Michael Holmes Dykes of New Orleans; and Sarah Milyn Dykes of Baton Rouge; and two grandchildren, Audrey Elizabeth Smith and James Milton Smith. He is also survived by his brothers: Jimmy (Gwen) of Mandeville, LA, and Mike (Sharon) of DeQueen, AR. Pat graduated from St. Paul’s High School in 1970, and earned a B.S. Degree in Economics from Spring Hill College in 1975. 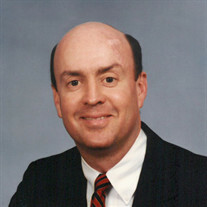 His professional career was spent in the insurance industry, the last 35 years of which were at Erwin Insurance Agency in Covington. Pat died as he lived, surrounded by his loving family, a witness to his deep faith and an inspiration to all who knew him. Visitation will take place on Wednesday, November 15, 2017 from 4:00 PM to 8:00 PM at E.J. Fielding Funeral Home, 2260 W. 21st Ave., Covington, LA 70433. A Mass of Christian Burial will be held on Thursday, November 16 at 2:00 PM at St. Joseph Abbey. Interment will follow at St. Joseph Abbey Cemetery. In lieu of flowers, please consider a donation in Pat’s memory to either the Servants of the Pierced Hearts f Jesus and Mary (SCTJM), 3098 SW 14th St., Miami, FL 33145 or to the Missionaries of Charity, 737 East Blvd., Baton Rouge, LA 70802 or to the CJD Foundation, P.O. Box 5312, Akron, OH 44334. ........obituary of Patrick Dykes who was the youngest son of deceased DAL Capt. Freddie Dykes who passed in March 2006. .............. 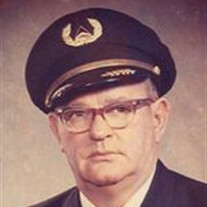 Some of the old MSY pilots will remember Freddie Dykes. His youngest son, Pat, passed away a few days ago here in Covington.